Cervical cancer has a high survivability rate when diagnosed and treated early, but among women of reproductive age in Guatemala, it is the leading cause of cancer-related death. 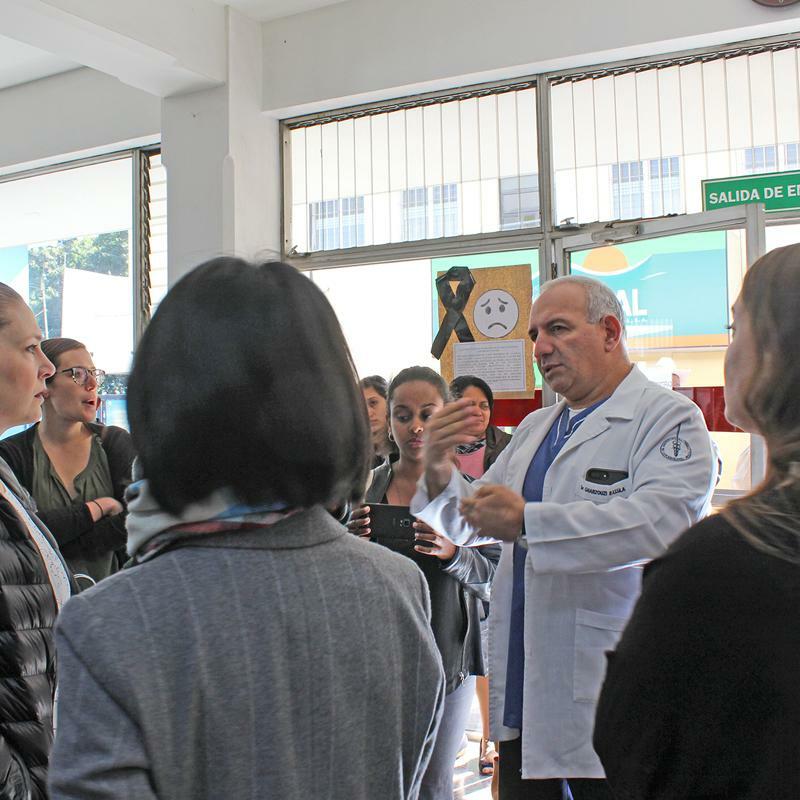 In December, a delegation from the School of Public Health went to Guatemala to learn more about cervical cancer prevention, diagnosis, and treatment and to explore collaborative opportunities for faculty and students with local and regional institutions. The delegation included Laura Rozek, director of the University of Michigan’s Global Cancer Initiative and associate professor of environmental health sciences; Rafael Meza, associate professor of epidemiology; Alison Mondul, assistant professor of epidemiology; and Michigan Public Health doctoral students Anna Gottschlich, Christian Alvarez, and Lisa Lau. 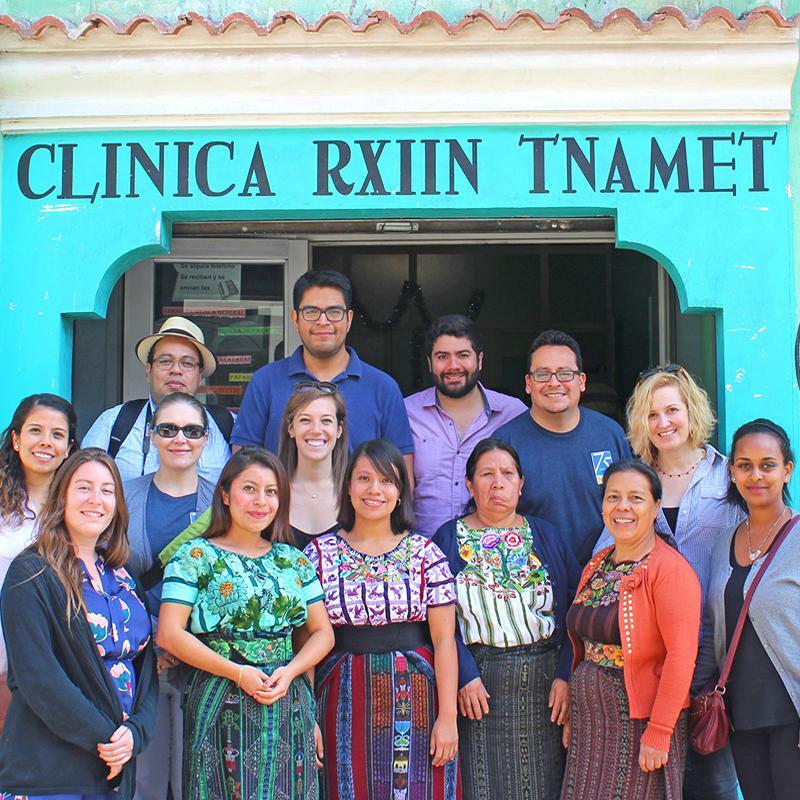 The group visited clinical and testing sites run by PATH, an international NGO working with the Guatemalan Ministry of Health to scale up the use of a cost-effective HPV self-swab test. They also met with the National League against Cancer—the only cancer referral hospital in Guatemala—to learn more about their initiatives to better reach underserved populations. After touring the Institute of Nutrition in Central America and Panama (INCAP) facilities, the delegation participated in a half-day summit to learn more about each other’s work in nutrition and cancer and to explore opportunities for partnership. Meza and Gottschlich had previously worked with Carlos Mendoza Montano and Alvaro Rivera-Andrade from INCAP to test the acceptability of a self-swab cervical cancer kit among Mayan women in Santiago Atitlán. The delegation also met with the CDC Central American Regional Office, the US Embassy, San Carlos University, Rafael Landivar University, and Rxiin Tnamet, a nonprofit community health clinic in Santiago Atitlán. Eduardo Gharzouzi, surgical oncologist and research director of Guatemala’s Cancer Institute, gives a tour of the facility. 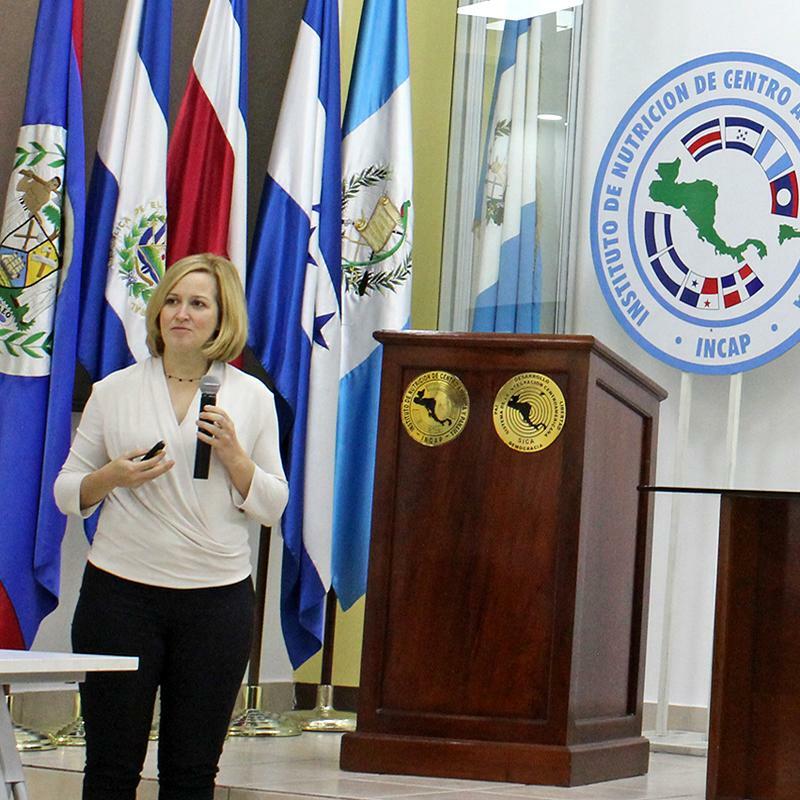 Laura Rozek presents research at the Institute of Nutrition in Central America and Panama. Michigan Public Health delegation with community health workers in Santiago Atitlán. Learn more about Global Public Health. Support public health students studying abroad.